John and I are bad at keeping gifts secret, so my anniversary "surprise" ended up being something we both worked on... but this is us, so of course it was more fun that way. Anyway, I thought you guys might like to see, since it's something many of you FOE have been suggesting - nay, demanding! - be brought into existence. 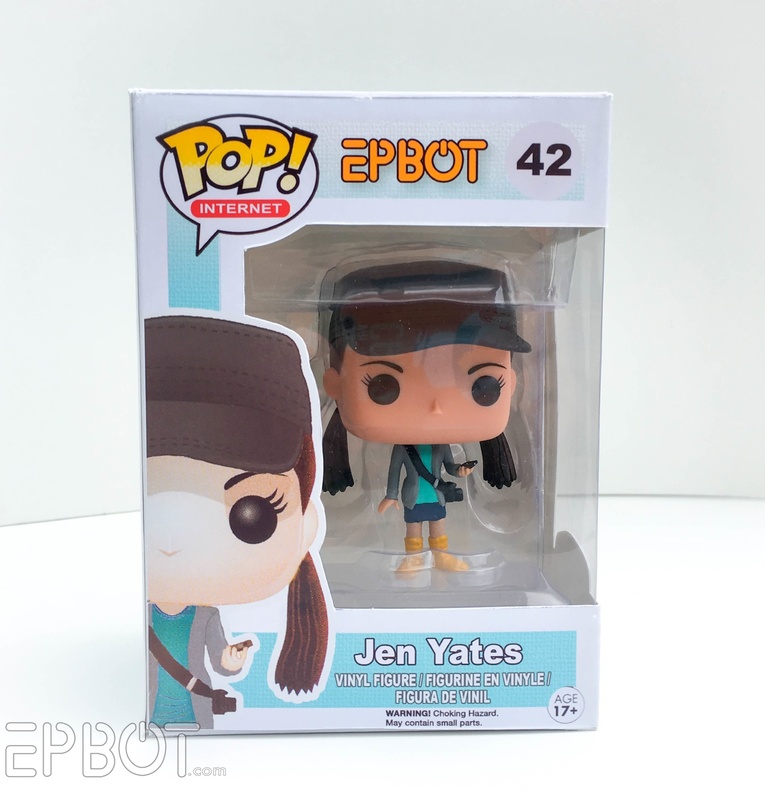 Jumpin' gigawatts, I'VE BEEN FUNKO POP'D! Which I just realized sounds super dirty. Isn't it perfect? I love that teal texture. You guys have been pointing out that Rosita is my Pop clone for ages now, but her outfit wasn't exactly me, ha. I was pretty psyched to bring my Yellow Boots out of retirement for this. I never wear them anymore because they're a little beat up, but they are SO comfy and I love them SO much I really should figure out how to clean fake suede, ha. 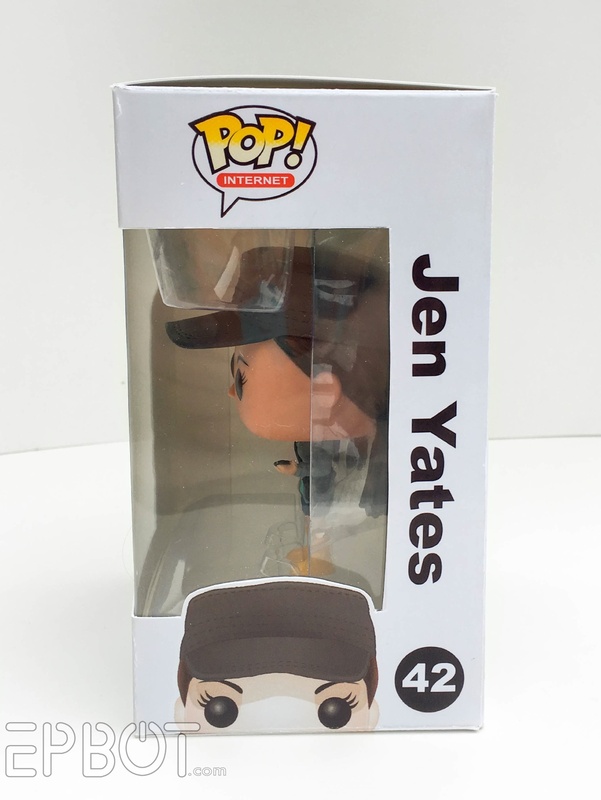 Anyhoo, I know orange Chucks would have been more appropriate, but we wanted to work with the existing Pop sculpt as much as possible. Speaking of, John turned Charlie's bag into a camera, and I added a skirt - both done with paper clay. It's not super durable, but I never plan to take her out of the box, so s'all good. The spots are raindrops. Ack. Now we're off to celebrate our nerdy, nerdy love the same way we have for the last seven anniversaries: surrounded by 70,000 of our closest friends at Dragon Con. Aw yeeeeeah. See some of you Thursday night at the Epbot meet! I'm wearing a pretty dress for y'all - plus some shiny patent leather combat boots I just found at the thrift store - so I am PUMPED. Happy 19th Anniversary, John, sweetie! Thanks for marrying me when I was just a toddler. :D Here's to a million more projects and laughs and trials and trying to hold hands in public even when it's sweaty and gross because you're totally worth it. MWAH. That is SO cool! Happy anniversary, you two! SO ADORABLE! Happy anniversary, guys! this gift is pure perfection. well done! Happy anniversary, you two! And have an amzing time at Dragon*Con!!! 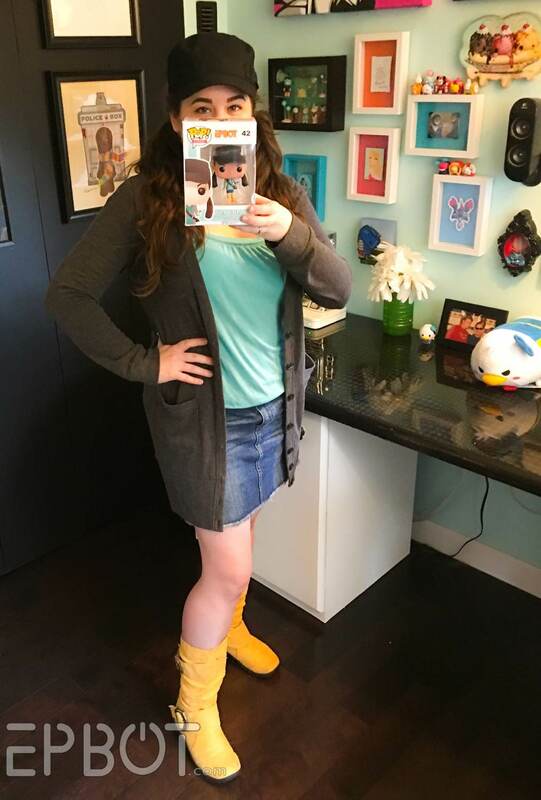 You know, several FOEs work at Funko. Can they make this happen for reals? 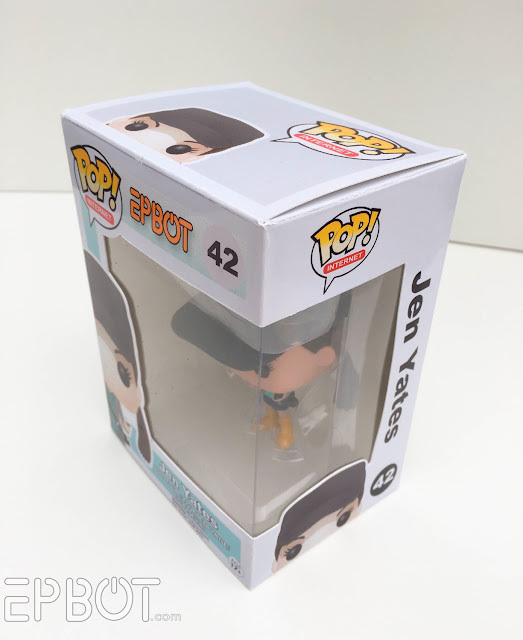 I need a Jen Pop. Everything about this post makes me ridiculously happy. Happy Anniversary to you!! 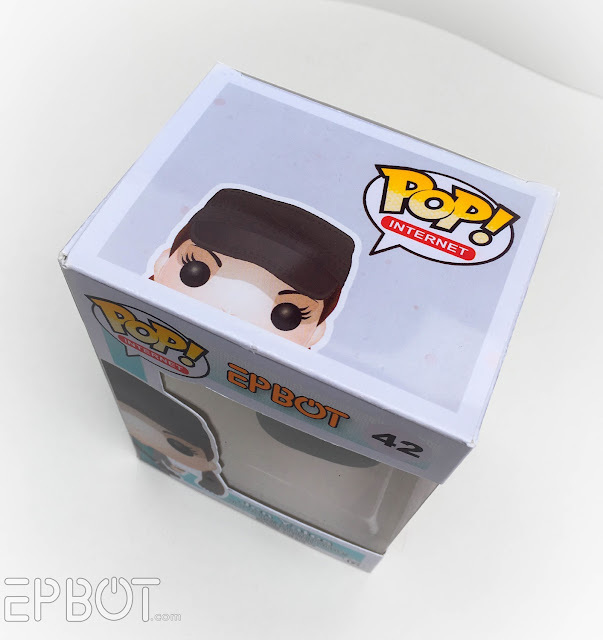 This is so cute... both you two and the POP! Happy anniversary! 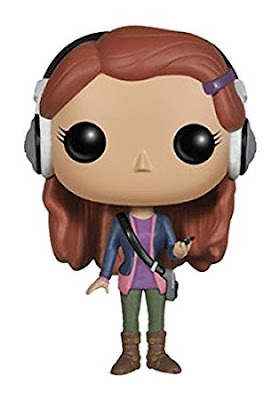 If you don't have one, you might get/build something like a "FUNKO POP! STACKS PLASTIC PROTECTOR" which is a hard plastic safety device made for POPs. I've seen them on Amazon, EBay, HotTopic, and a bunch of other places and I know at least Amazon sells bulk lots if you're like me and have POPs taking over your house. 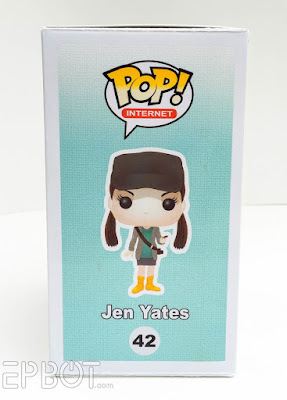 There's also a lighter-weight version made from flexible plastic that might be easier to DIY, but if I had a custom POP of myself as awesome as this I'd be tempted to encase it in resin or something so nothing happened to it so maybe the hard plastic shell would be better. This is fantastic! Happy anniversary. I knew 15 years was giant metal chickens, but I missed the action figures for your 19th. I learn something new every day. Happy Anniversary! Hubs and I are going to celebrate our 10th at Fan Expo this weekend. Not that we're copying you, or anything. This is amazing, but oh, man, am I disappointed. When I first saw this posted over on FoE, I thought it was an official one, and I was considering buying one! Happy anniversary! Am I the only one figuring out the math as to how you can possibly have been married 19 years while you both look 30-ish? You guys are the embodiment of #relationshipgoals. Happy Anniversary!! Happy Anniversary to one of the most amazing couples ever! Love it, and love you guys, even though I only met you once. Briefly. At a signing in Boston. In a snowstorm. Aww, you guys beat me to it! No joke. 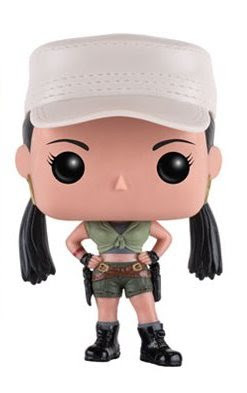 I have the Rosita and two others that I put together for John, and had already started resculpting and painting them to surprise you with! (I was going to add a corset between the crop top and bottom, and turn the gun into your ray gun or a hot glue gun. John was getting an interchangeable drill and whisk...) Yours are so much better than I could achieve though, and I'm so glad you have your own Pops now! Oh no, does this mean we don't get yours?? NOOOOOO those sound amazing, please finish them someday, I so want to see! Yay you guys! Happy anniversary and long may you craft (and build, and paint, and imagine, and ...) together. Rock on!! You two keep on amazing us. Happy Anniversary!!! Oooo, so cute! Best anniversary gift EVER! And a very happy anniversary to you two. Your relationship gives me contact glee. Ooooh I second this post!! Contact glee! Happy anniversary! Happy anniversary, you two! 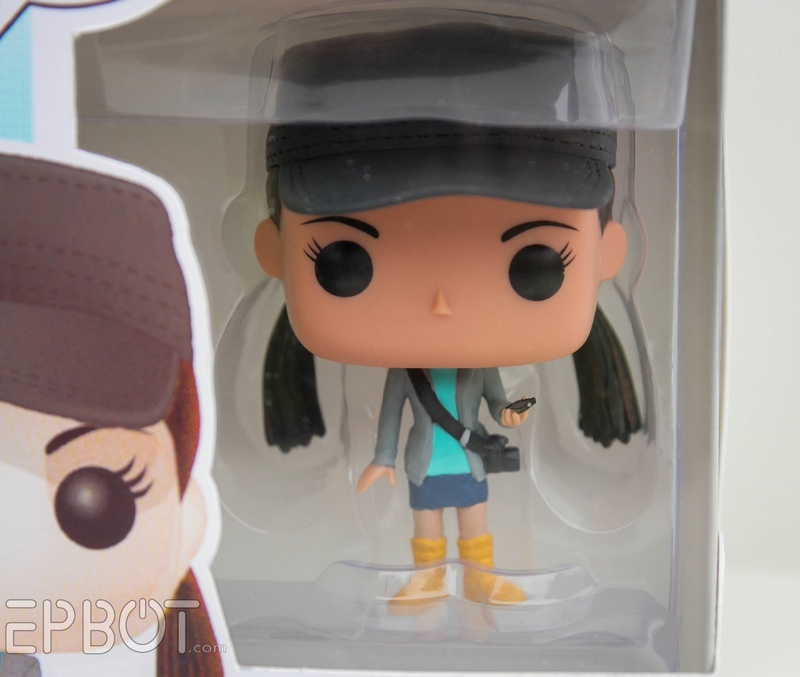 That's a Pop doll I'd actually want if they were for sale - so cute! You even get to be the answer to life, the universe and everything! For your boots - brush with a suede brush, then use a slightly damp lint free cloth with mild soap (face soap or dishwashing soap) to clean dirty areas, blot with a clean dry cloth and let air dry. (you may want to stuff them with old newspapers if they're floppy) I do this with my faux suede boots and it works great. Aw, she's so cute! And you two, too- your relationship is so great, maybe your next book could be 'how to have a great nerdy marriage' (with or without the nerdy part). Happy Anniversary! I started the month by going to an Anniversary/Reunion. My Great Aunt and Uncle (Mom's Aunt) had their 70th. Yes Seven Zero, Seventieth. May you and John eventually celebrate the same. 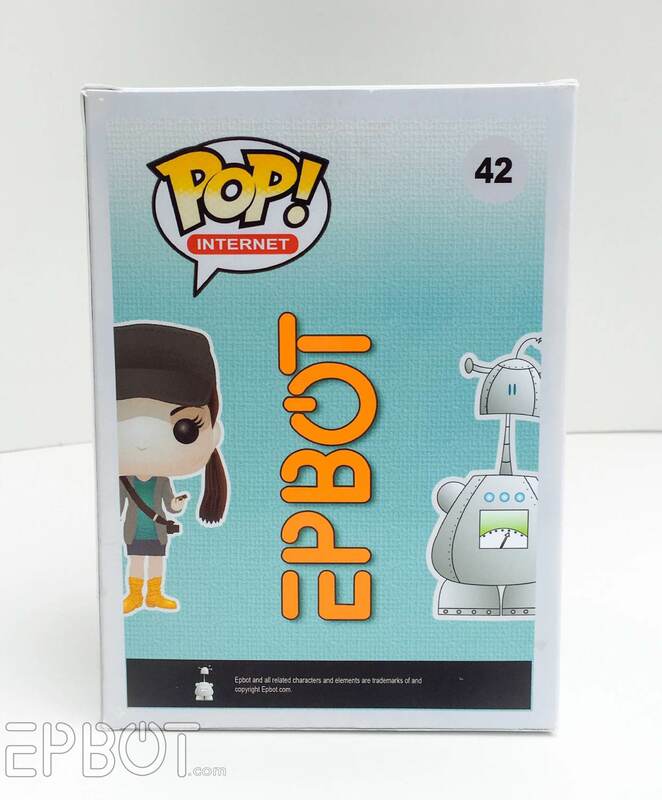 Oh my word I thought that was an official Funko Pop. Amazing job, and congrats on your anniversary. Happy anniversary to you crazy kids!!! Can't wait to see what else you guys have up your sleeves. Congratulations on your anniversary and may you have many more together. 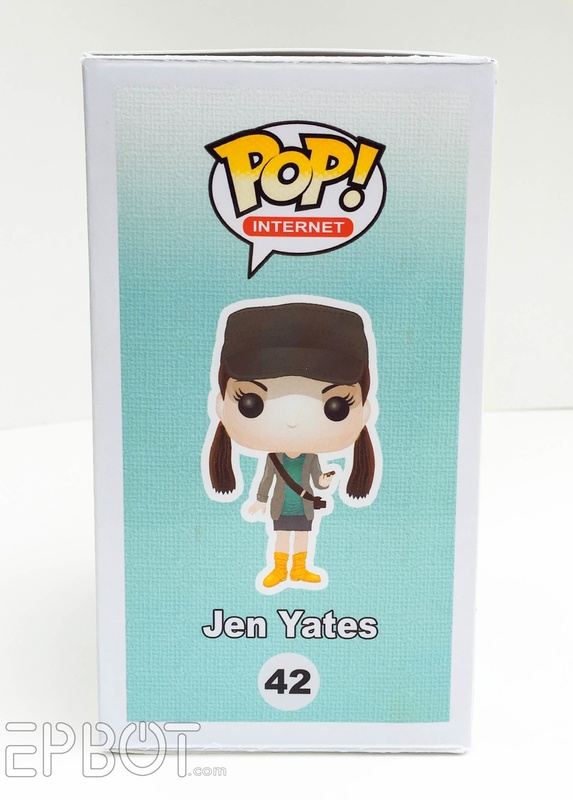 The Pop figure is great. I love seeing all the fabulous crafting items the two of you come up with. According to Sir Google - traditionally, the 20th anniversary was celebrated with china but in modern days, the official gift is platinum. If you're looking to gift your loved one with a gemstone, look no further than the emerald. So...perhaps a green Chinese-style dragon with shiny platinum accents? Can't wait to see both of you as FPs! Aw, that is so perfect! I can't wait to see the FP of John. Happy Anniversary! My hubby & I are coming up on our 23rd. Hope to see you this weekend. I love it!! Happy anniversary, you crazy kids!! Happy Anniversary, you crazy kids! And many, MANY more! Okay okay okay okay. I know this is like, 3 days after you posted this and you might never see this comment BUT have you thought about making the pop number your birth year??? I thought that would be cool. Either that or the year you guys got married since you were making these for your anniversary. Lordy, you two are so frelling adorable! So much awesome. Happy Anniversary!